Feeling under assault? Like the increase in hate is drowning everything else out? 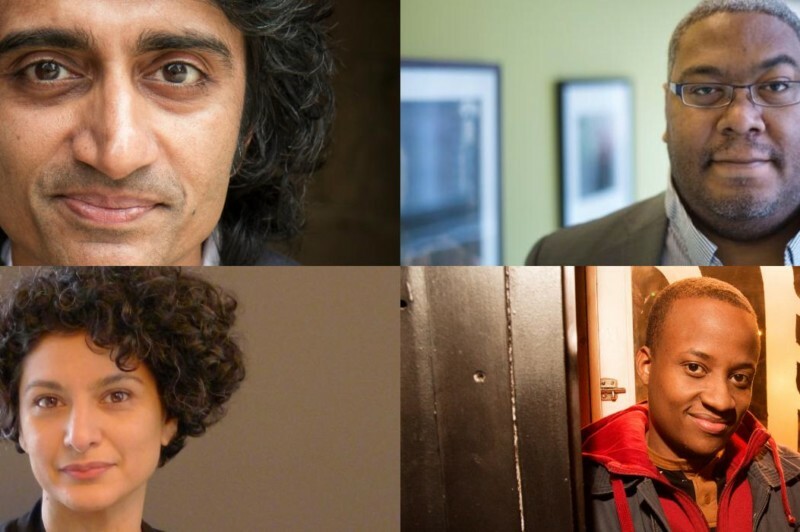 In Beyond Outrage, hosted by WNYC’s Arun Venugopal, we’ll step back and explore the ways in which art, wit and whimsy can restore humanity, and just get us through another day. Through live performances, world-class clapbacks and viral videos, we’ll reimagine ways to counteract hate and violence, individually and as a collective. Guests include actor and storyteller Kayhan Irani, comedian Nore Davis, and Elie Mystal. Kayhan Irani is an Emmy-award winning writer, producer, and Theater of the Oppressed trainer. Irani was recognized as a 2016 White House Champion of Change in addition to winning a New York Emmy award for best writing for We Are New York, a TV series used as an English language and civic engagement tool for immigrant New Yorkers. Her published work includes Telling Stories to Change the World: Global Voices on the Power of Narrative to Build Community and Make Social Justice Claims (Routledge) and Culturally Relevant Arts Education for Social Justice: A Way Out of No Way (Routledge). Nore Davis is a stand-up comedian and actor. In his most recent stand-up special, “You Guys Are Dope,” Davis talks about his social media dependence, being in love, and the hard truths of protesting. He has made appearances on Russell Simmons Presents, Last Week Tonight, MTV’s Nikki & Sara Live, NickMom Night Out, The Artie Lange Show, CollegeHumor, and HBO’s Boardwalk Empire. WNYC’s Elie Mystal is the Editor-at-Large of Breaking Media, and the Executive Editor of Above the Law “Redline.” He’s written for The New York Times, the New York Daily News, City Hall News, and has appeared on Fox News, MSNBC, CNBC, and CNN. He graduated from Harvard University in 2000, Harvard Law School in 2003, and was an associate at Debevoise and Plimpton.